The next time you’re in need of a gift or favor, give a sweet treat from Laura’s Candies. A sweet gift from Laura’s Candies is a great way to thank loyal customers, clients, vendors, and co-workers for all of the work they put in throughout the year. Thank them with a box of truffles or pralines. Or put together your own box of assorted candies to suit your needs! Wondering what to get the person who has everything? Give them a taste of New Orleans with one of our fun gift baskets, featuring Laura’s sweetest confections. Or give them a special treat, one of Laura’s Candies’ seasonal holiday items, such as the ever-popular Peppermint Holiday Bark! 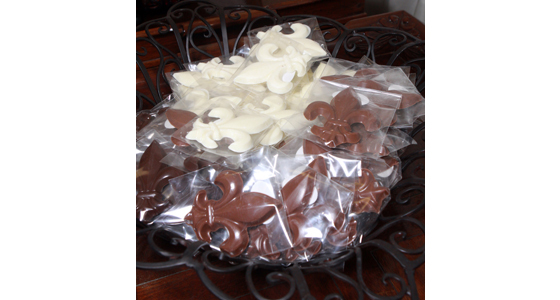 Laura’s offers many of their confections, including pralines and molded chocolates, in individual wrapping, making the perfect favor for showers, wedding receptions or parties of any size. 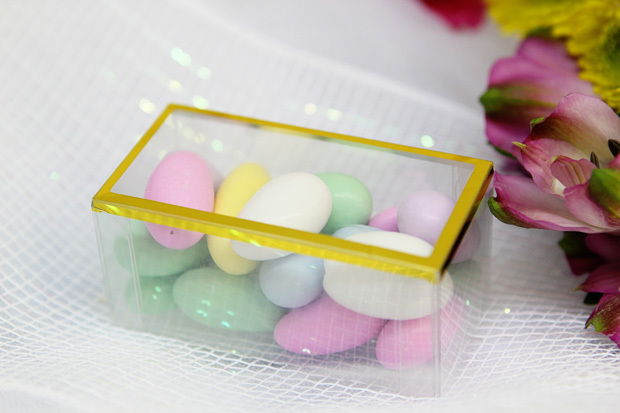 Want to customize these favors for your special event? Ask about personalized stickers to adorn the wrapping!